Berta Needs a Kidney Transplant! 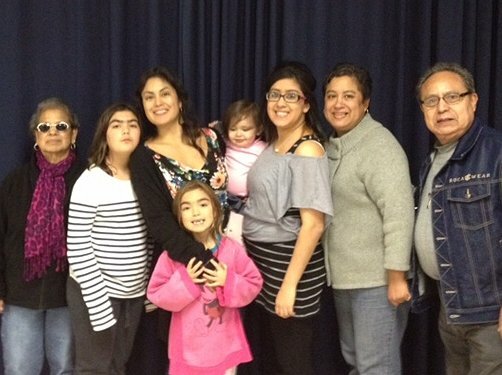 Berta Arizola, our loving mother and best friend, is in desperate need of a lifesaving kidney transplant. Our mother was born with an inherited medical condition known as polycystic kidney disease, in which clusters of cysts developed within her kidneys. The greatest risk of polycystic kidney disease is developing high blood pressure, resulting in kidney failure. Over 30 years ago, our mom faced end-stage-renal disease and underwent her first successful kidney transplant surgery. Miraculously, her new kidneys outlasted the average eight-year lifespan, and 26 years have gone by since her first surgery! We are ever so grateful that our “Mama” has been here with us to share in our lives; she not only raised us into adulthood, but has been present for the birth of her three grandchildren and even her first great grandchild! Unfortunately, a few months ago our mom was told by her team of medical professionals that her kidney function was beginning to decline to sub-optimal levels. Without another lifesaving kidney transplant, she will quickly run out of time and her options will soon run out. Fortunately, we have family members who are considering donating the gift-of-life and are undergoing medical testing to see if they are a suitable donor match. Our mom is listed for transplant at Mercy Health St. Mary’s in Grand Rapids, Michigan and she is looking forward to once again living an active and healthy life! 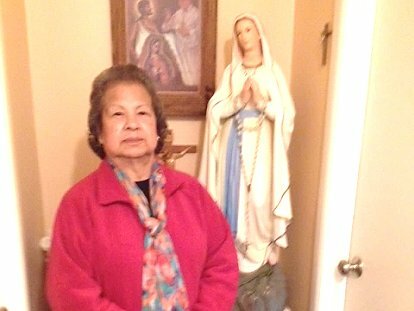 Berta is a loving and grateful woman who has reached out and served others her whole life. She is a Eucharistic Minister and Greeter at Holy Trinity Church and continues to lector during daily mass. She volunteers her Ministry at a local nursing home, where residents rely and depend on her for both prayer and service in their local nursing home community. Berta spends hours of her time each week helping others — now it is time to reach out and give back to Berta! Transplants are lifesaving, but very expensive as we are raising money to help pay for the uninsured portion of our mother’s upcoming surgery. If you know or have met our mom, she is petite in stature but fierce in nature! Although she is strong, a kidney transplant is difficult to endure the second time around — both physically and emotionally. It is important that we support my mom’s surgery making it as stress-free as possible. Co-pays and deductibles, medical bills, insurance premiums, living expenses, lab costs, caregiver wages, and pre-transplant testing fees are quickly adding up. Our mom will also be required to take costly, post-transplant medications that are required for the rest of her life. Our mom can’t go it alone and she needs your help! To help with this financial burden, a fundraising campaign in Berta’s honor has been established with Help Hope Live, a trusted nonprofit organization that has been providing community-based fundraising guidance to patients and their families for more than 30 years. All donations are tax-deductible to the full extent allowed by law, are held by Help Hope Live in the Great Lakes Kidney Transplant Fund, and are administered by Help Hope Live for transplant-related expenses only. Please click on the YELLOW DONATE NOW button to make a contribution. Thank you ahead of time for your thoughts, payers and generous support. Any donation amount, no matter how big or how small is one step closer to a brighter future for our Mama!